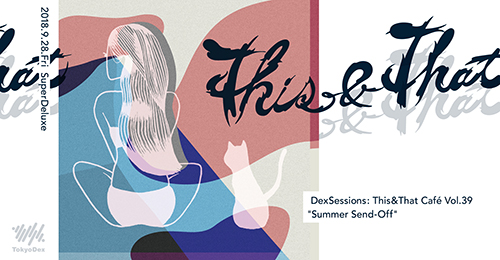 After a three-month respite, This&That Café makes its long-awaited return to SuperDeluxe just in time to share a few more cold drinks with friends in the lingering summer heat. 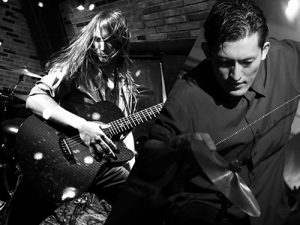 As always, #TnTCafe boasts a stellar and eclectic line-up, with performances ranging from the unique guitar stylings of Ryo Sean Okada, to painting x music x projection mapping unit Curito, just to name a few. Add live-painting and a special guest DJ all the way from Bologna, Italy, and you have an incredible interdisciplinary evening of art and music you simply won’t want to miss! 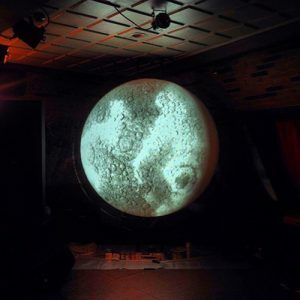 Curito is visual & musical artist group consisting of Yohei(Painter), Kim(VJ), Tonbo(Track-maker). Japanese Guitarist/composer Ryo Sean Okada writes original acoustic instrumental music, using unique finger tapping style. He began playing guitar when he was 12 and at age of 13 he appeared as a guest artist for an event held by Yamaha Singapore, as well as the following year. At age of 16, he moved to California to study music and his academic study for music formally started at California Institute of the Arts(CalArts). While at CalArts, he staged numerous shows, recitals and gigs. He also collaborated with artists in animation, dance, film, and other fields of the arts. In 2013, he made his very first TV appearance and within the same year, he attended a world-peace event at San Diego as a Peace-Artist. 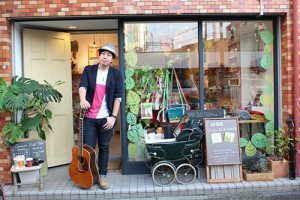 After studying music at CalArts, he came back to Japan to begin his career as a guitarist. percussionist steel tongue drum(RAV,HAPI,GANK) and cajon player KENJI. Exceeding genre and creating original music. 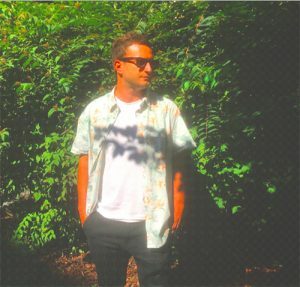 Brine is a producer based in Bologna, Italy who has spent the last decade crafting a wide variety of dance music that often blurs the lines between house and funky disco. As a DJ his formative years were spent in London, playing at hot spots like Egg London and later at San Francisco’s Monarch nightclub. With a heavy knowledge of jazz and a healthy lust for dreamy Balearic grooves, Brine blends it all from his secret laboratory known as Tree House Studios. Out on the road he is always hunting for rare records and exploring new jams to drop on your ears. Gerutama is an artist based in Yokohama. Since she was born into a unique family (her father is a monk and her mother is a musician), so from her early years she has found herself in extraordinary situations, being immersed in theater arts and special events at the temple. These experiences urged her to explore her own expression style in her childhood. As a practicing artists , she received an award at GEISAI #20 in 2014, and the same year she joined the Turner ambassador program. Afterwards, she broadened her activities such as doing live paintings at various PR events, mural designs for major companies, performances at galleries in Tokyo, art openings and reception parties for hotel openings et al. In 2017, she was chosen as a member of “Facebook artist in residency program” and painted a mural in the presence of an audience at their Tokyo office over a period of 7 days. That same year, she also painted mural for the new “Indeed Tokyo Relocation” office with TokyoDex. Aiming to expand her horizons, she has been exploring new painting styles in myriad settings. 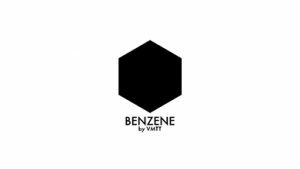 BENZENE by VMTT is a visual design team consisting of directors, CG graphic and motion graphic designers based in Tokyo. They have performed in music festivals like Summer Sonic/Sonic Mania, Electrox, a-nation, and ULTRA JAPAN. This&That Cafe is a periodic event open to the public in which artists from all genres and backgrounds donate their time and talents in the spirt of sharing. It is a place where music and visual arts meld in unexpected collaborations. A forum for artists from afar to meet with local luminaries amidst the dense and eclectic pool of talent in Tokyo. A venue to gather, exchange ideas, share artistic inclinations and wax poetic in a causal community of old friends and new acquaintances. Come early to get a seat and take advantage of the fetching fare on the SuperDeluxe menu, or just pop in for a drink on your way home from work. All are welcome. 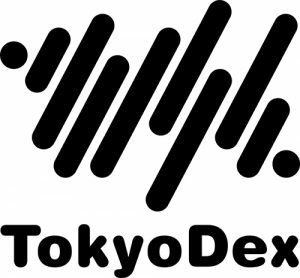 If you have an idea for a future This & That Cafe event, please drop a line to thisnthat@tokyodex.com. We look forward to hearing from musicians, DJ, visual artists et al looking for a new and exciting venue for their expressions.